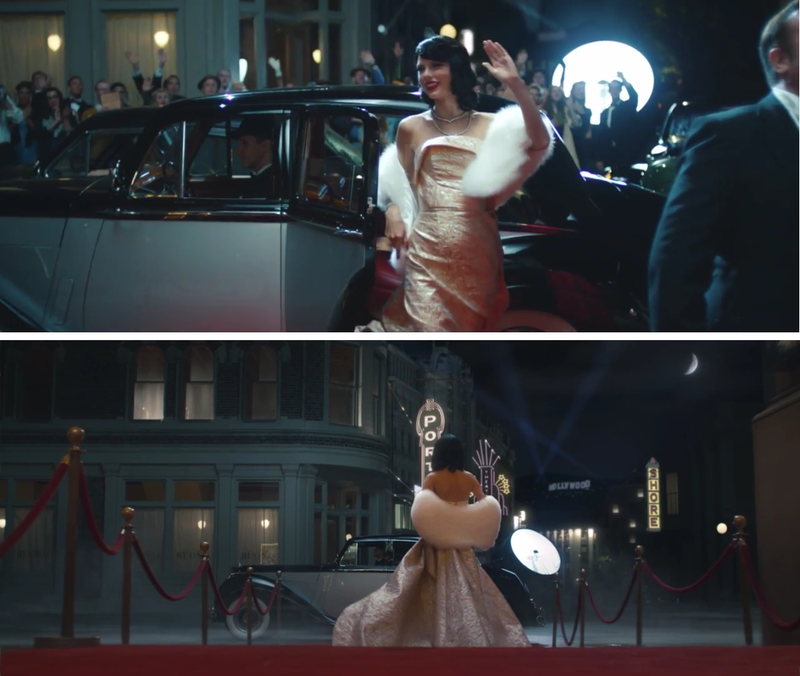 The majority of Taylor Swift’s new video, Wildest Dreams, is set in “Africa”, but is also very, VERY white. The video is so white that finding a black person is akin to finding the ever-elusive Waldo. However, this article isn’t about the fact that director Joseph Kahn made a decision to effectively erase Africans from “Africa”; plenty of better writers have already written that article. This article is about Kahn’s supposed reasoning for that decision. Specifically, his claims that he is beholden to… someone… in making a music video that is historically accurate. Kahn included several other excuses for his African-lite portrayal of “Africa”, ranging from ‘I have black friends’ to ‘Other people do it too,’ so you can read his entire response here. But his anxiety about being Historically Inaccurate stands out because it is the most popular excuse for creators looking to rationalize their erasure of black people from media. More so, accuracy seems to be important only when it comes to the decision to omit black people, as the multitude of inaccuracies in Wildest Dreams shows Historically Accuracy is pretty far down Kahn’s list of priorities. You may have noticed by now that I’ve placed Africa in quotation marks a couple of times. That’s because the “Africa” featured in Wildest Dreams doesn’t seem to be a single place in Africa, but a pastiche of various African themes that form Kahn’s “Africa”. I could go into the veritable sea of errors contained in the representation of “Africa”, but I’m not getting paid for this and I don’t have that type of free time. Thus, I’ll focus on the video’s highest concentration errors, which are contained in the Historically Inaccurate top image of “Hollywood”. One of the most noticeable aspects of the top image is the emptiness of the streets. 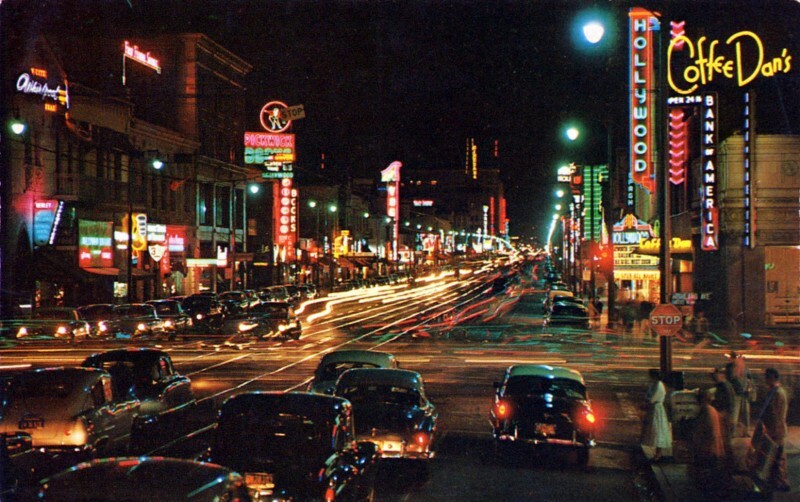 However, the lack of people and cars on a major Hollywood street in the 1950s is Historically Inaccurate. It’s not even accurate within the video’s own continuity, as plenty of pedestrians are present earlier. It’s clear this decision was made because the empty streets reflect the jilted starlet’s own feelings of loneliness. Apparently, metaphor is an acceptable reason for Wildest Dreams to be Historically Inaccurate. The next problem is the representation of the iconic “HOLLYWOOD” sign. By studying the angle in the video, especially where the “O” just barely overlaps the “H”, it’s clear the sign is being viewed from the southeast. In fact, this vantage point lines up well with a view of the Hollywood sign from Griffith Observatory. However, this alignment would place the movie premier Los Feliz, aka NOT Hollywood. It’s clear this decision was made because showing the classic “HOLLYWOOD” sign establishes the viewer is watching a Hollywood movie premier in Hollywood. Apparently, iconic imagery is an acceptable reason for Wildest Dreams to be Historically Inaccurate. Then there is the moon, which is by far the most Historically Inaccurate part of this entire picture. Initially, I was going to comment that the night sky is far too dark for a lunar phase and elevation that suggests it’s in the late afternoon. Then I realized that the moon appears elevated in the northern sky, which is literally impossible for most of the northern hemisphere, Los Angeles included. It’s clear this decision was made because this image of the moon enhances the imagery of Wildest Dreams. Apparently, ascetically pleasing cinematography is an acceptable reason for Wildest Dreams to be Historically Inaccurate. Considering the above inaccuracies, it’s unsurprising that Kahn’s basic premise of ‘Africans weren’t in African film crews’ is completely wrong. 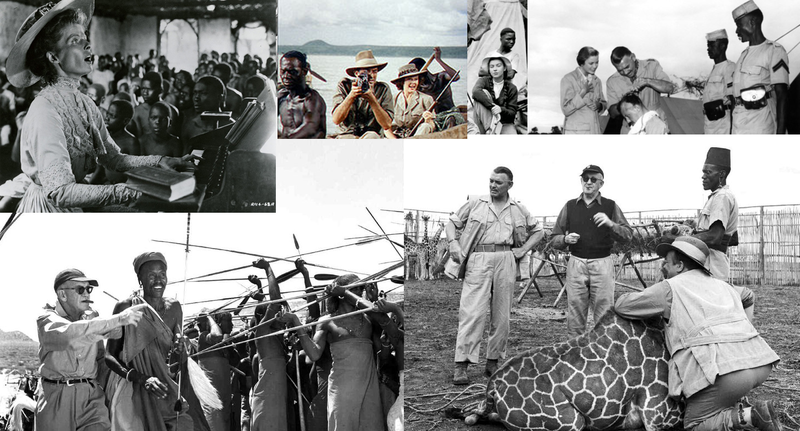 We know it’s completely wrong because of these Historically Accurate images of Africans in the casts & crews of The African Queen, Mogambo, and The Snows of Kilimanjaro. Apparently, preemptively dodging claims of historical inaccuracies is an acceptable reason for Wildest Dreams to be Historically Inaccurate. I don’t know why there are no Africans in Kahn’s “Africa”, but it is clearly not due to an unshakable devotion accuracy, historical or otherwise. Joseph Kahn, or any other non-documentary filmmaker, can use poetic license to remake history however they damn well please. It is outright insulting to offer “I can’t make a Historically Inaccurate work of fiction” as a viable reason for erasure. It is outright insulting to pretend your work of fiction can allow for undue representation of celestial bodies, but not of black ones. And it is outright insulting to think that no one would notice. So at this point, I must ask all creators of media to stop pretending like black people are not supposed to exist in your work of fiction. Stop pretending your melanin-deficient vision is supported by history.